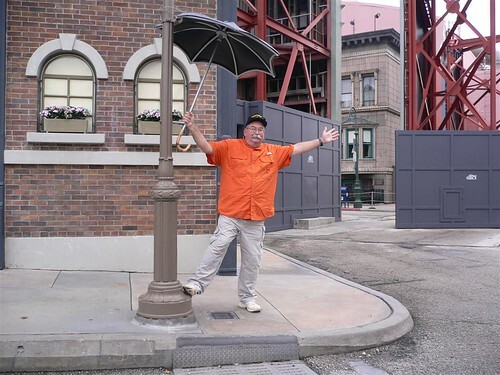 We spent today at Disney’s Hollywood Studios. The crowds are still heavy due to the Martin Luther King, Jr. Day holiday. Despite the heavy crowds we still manage to see and ride many of our favorite attractions. We started the morning with a mad dash to Toy Story Midway Mania to get FastPasses. We picked up the FastPass at 9:25 am and could not use it to ride the ride until 5:00 pm. Here are a few highlights from the day! 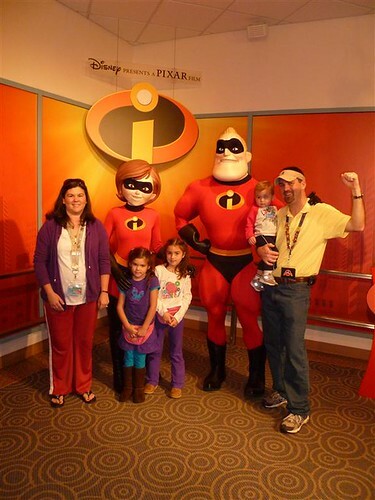 No trip to Hollywood Studios would be complete without our traditional family picture with the Incredibles. As you can see from the photo, I failed at my attempt to get my incredible family to pose. 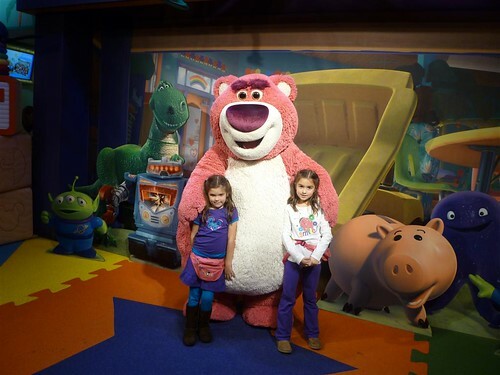 While meeting the characters, the girls wanted to meet Lotso again. Luke was asleep for this picture so it ended up being just Isabelle and Anna with Lotso. During one of Kate’s trips into the shops around Hollywood Blvd., she found a fireman Mickey statue and a Policeman Mickey Statue. She had to get them for her dad and uncle. Here they are posing with their new gifts. One of the main reasons for going to Hollywood Studios today was the premier of their new Pixar Pals Countdown to Fun parade. 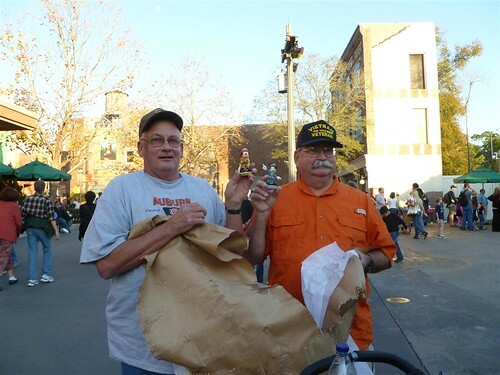 The parade was fun and energetic, but is so short. 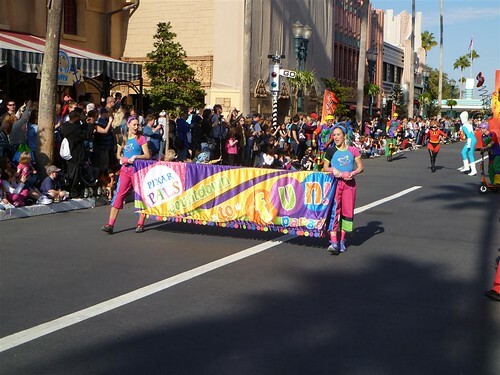 Here is the beginning banner of the parade. 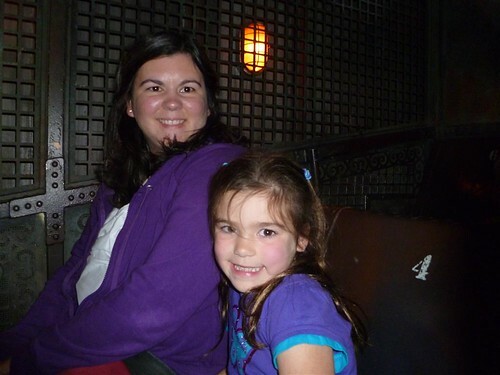 Anna wanted to ride The Twilight Zone Tower of Terror again. We manage to get a FastPass so we bypassed the 80 minute standby line and jumped right on the ride. 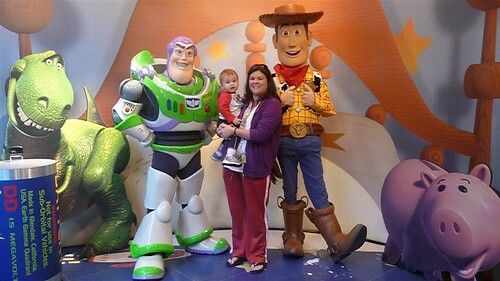 Luke had his chance to meet Buzz and Woody. He is really enjoys his Toy Story toys so he was excited to meet them. He even gave them both “five” and blew the kisses when he left. Both Uncle Charlie and Sarah could bypass the opportunity to “sing in the rain.” Although the rain button was not working. 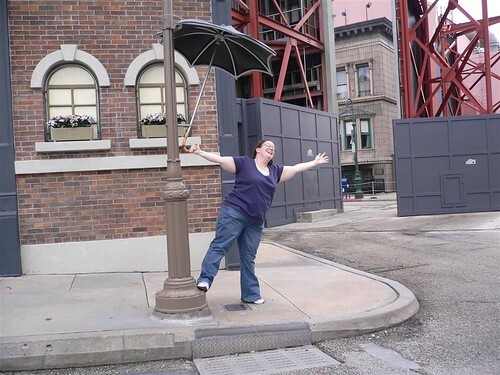 Maybe Disney thought it was too cold for the rain. We had a great day! While we didn’t get to do everything we would have liked, we are hoping to return later in the week when the crowds are lighter. We have haircuts scheduled for the kids tomorrow at the Magic Kingdom. This will be Luke’s first haircut. Storms are in the forecast so maybe that will help keep the crowds away. We also have dinner reservations at Teppan Edo (the Japanese hibachi restaurant at EPCOT).